Camara Camara, so good they named it twice is the perfect late night eating spot and arguably serve the best fast food in Santa Maria. Located opposite Patio Antigo and just down the road from Tam Tam, Camara Camara is home of the 'Shawarma'. 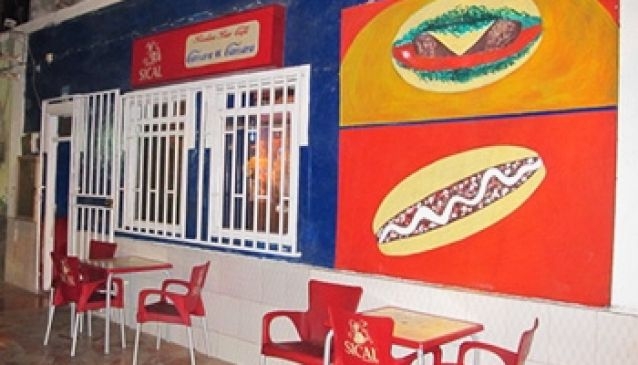 The 'Shawarma' is Cape Verde's favourite fast food, consisting of mince and chips wrapped in tortilla wrap layers. It's simply delicious and is prefect way to soak up that excess alcohol after an action-packed night out in Santa Maria. Enjoy a beer or a glass of local Grogue and chat with the locals as you wait in anticipation for your Shawarma to be ready.